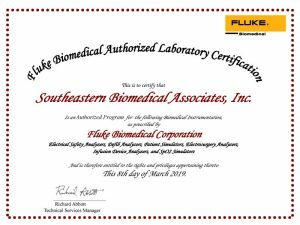 In its ongoing quest to provide the highest quality products and an elite level of service, Southeastern Biomedical Associates Inc. is now an authorized Fluke Biomedical Service Center for most of the southern United States. As of March 8, Southeastern Biomedical is certified as an authorized Service Partner for Fluke Biomedical Instruments. The certification applies specifically to the following products (calibration and repairs): Electrical safety analyzers, Defibrillator analyzers, Patient simulators, Electrosurgery analyzers, Infusion device analyzers and SpO2 simulators. We offer Fluke Authorized Service in the following states: Virginia, North Carolina, South Carolina, Georgia, Florida, West Virginia, Tennessee, Arkansas, Texas, Oklahoma and Louisiana. Additionally, the company maintains two ISO certifications. Having ISO 9001:2015 for the overall business and ISO/IEC 17025:2017 specifically for the calibration lab, Southeastern Biomedical is well positioned to provide customers with the highest quality test equipment calibration services available on the market today. Southeastern Biomedical maintains a professionally trained calibration staff who are qualified, courteous and eager to provide the best service aimed at completely satisfying customers calibration needs. These accomplishments mirror the company’s focus on quality, value and customer service. “With our singular dedication to quality, value and meeting customer needs, we at Southeastern Biomedical have been providing a broad range of equipment-related services since 1996,” Co-owner Boyd Campbell says. 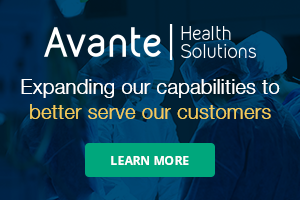 “We provide key services that help medical facilities deliver the highest quality, efficiency and cost-effective technology management, leading to superior patient safety and care,” the company’s website states. Southeastern Biomedical Associates is proud to be the exclusive channel partner for Fluke Biomedical providing quality biomedical test devices and coverage to eight states in the southeast U.S.
For more information, visit sebiomedical.com.